Bring life to your building at night by adding back lighting to your awning. 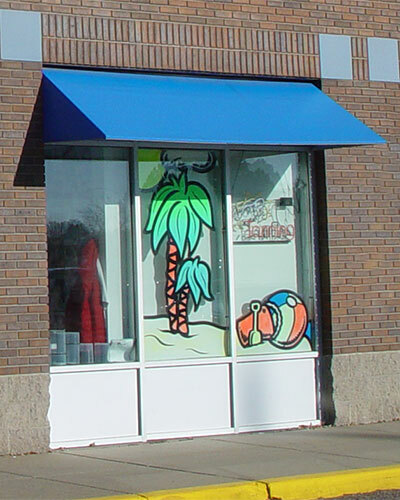 Not only are they an extremely effective signage option, illuminated awnings provide security 24 hours a day. Your storefront is bright whenever it's dark, helping your customers find their way at night and discouraging thieves after you close. Down lighting to the sidewalk or exterior of your building can be achieved with lighting fixtures.